Baby boomer and singer-songwriter John David Souther was born November 2, 1945 in Detroit, Michigan. The new septuagenarian senior citizen grew up in Amarillo, Texas where he heard a lot of opera, big band, and jazz - Souther said in a 2015 interview with T. Cole Rachel for Interview Magazine that his grandmother sang opera, and his father sang in a big band. Souther was also influenced by fellow Texan Roy Orbison's rock and roll music. Now as a senior citizen J. D. Souther has revisited those early musical loves in his most recent album, Tenderness (2015). In fourth grade Souther learned to play the violin, followed by the clarinet; it wasn't until he was 12 that he learned to play the drums and to this day feels it is the instrument he plays best (although he also plays piano). During high school and college he played in different jazz and rock n' roll bands as a drummer, including John David & The Senders. According to Perfect Sound Forever online magazine, Detroit girl-group Honey Ltd. was comprised of friends Laura Polkinghorne and Marsha Jo Temmer, and sisters Joan and Alex Sliwin. The band started out in 1967 as the Mama Cats and were often backed up by The Mushrooms, which included a young Glenn Frey (in his pre-Eagles days). In 1968 the Mama Cats moved to Los Angeles and changed their name to Honey Ltd.
Honey Ltd. was signed by country singer Lee Hazlewood's label, LHI (Lee Hazlewood Industries). They cut some singles, played local clubs and enjoyed a few television spots. By 1968, 23-year-old J. D. Souther was also living in Los Angeles and earning a living as a session musician. He'd picked up a guitar that had been left in his apartment and found a new instrument besides playing drums and piano, that suited his songwriting and performing. Souther and Alex Sliwin met and began dating. Glenn Frey had also moved to LA from Detroit and was staying with the 4 girls from Honey Ltd. at their place in Toluca Lake. Souther's girlfriend Alex Sliwin introduced J.D. Souther to Frey. Souther quickly formed a lasting friendship and musical relationship with Glenn Frey and they shared a house with Jackson Browne; all three singer-songwriters collaborated on songs at times. Souther and Frey formed a folk/country/rock duo called Longbranch Pennywhistle. Below, an older J.D. Souther talked to Decades TV about his early songwriting beginnings, early musical relationships and friendships. J. D. Souther and Alex Sliwin married in March 1969 and Alex quit Honey Ltd. at his request; the marriage didn't last long and they were divorced in 1972 (by all accounts the marriage had dissolved long before that). Honey Ltd. was also finished; Alex went on to write songs and form a band (Bijoux) with her sister Joan in the 1970's. J. D. Souther and Glenn Frey recorded and released their band's self-titled album Longbranch Pennywhistle (1970) before they too went solo. Most of the songs on the Longbranch Pennywhistle album were written by J. D. Souther. Souther is reported to have had relationships with many women, including singers Joni Mitchell, Carole King, Judy Collins, Stevie Nicks and Judee Sill. The lyrics in Sill's hit song Jesus was a Crossmaker (written in 1971) "he's a bandit and a heartbreaker" are widely attributed to Sill's brief, unhappy romance with J. D. Souther that same year; Souther dropped Judee Sill for singer Linda Ronstadt. Linda Ronstadt and J. D. Souther became a couple for a few years and lived together in the early 1970's. In interviews, Ronstadt has said she found Souther's easy ability to write songs frustrating for her (she was always a singer vs a songwriter). 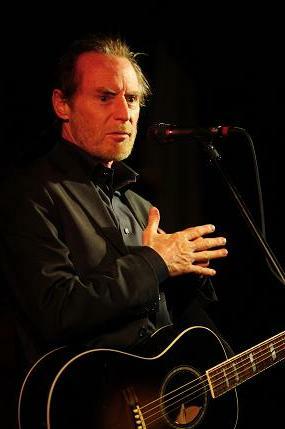 J. D. Souther has credited Judee Sill, Judy Collins, Jackson Browne, the Eagles, and Linda Ronstadt as strong songwriting influences on him, Linda in particular as being "more responsible for my career than almost anyone else because she was in my house when I was writing the first songs that I thought were good. She just set such a high bar. She picked the best songs of mine, the best of Warren Zevon's, the best of Lowell George, the best of Jackson Browne..." Souther and Ronstadt have maintained a life-long friendship to this day, despite their break-up, distance, and her illness (Parkinson's Disease). In 1972 J. D. Souther released a self-titled solo album John David Souther, which failed to chart. He provided background vocals and produced Ronstadt's album Don't Cry Now (1973). In addition to writing hit songs for Linda Ronstadt and Bonnie Raitt during the 1970's, J. D. Souther collaborated on songs with Glen Frey and Don Henley for the Eagles - Best of My Love (1974), New Kid in Town (1976), Heartache Tonight (1979). J. D. Souther's song Faithless Love was first recorded by Linda Ronstadt and included on her 1974 Album Heart Like a Wheel; Souther recorded the song himself and it was on his own album Black Rose in 1976. When Glen Campbell recorded the song in 1984 and released it as his first single, the song made it to #10 on the Billboard Country charts. Below, J. D. Souther peforming Faithless Love live in 1991 with Matraca Berg. By 1974 Souther was part of the new Souther-Hillman-Furay Band, a country-rock group comprised of J. D. Souther, Chris Hillman (The Byrds), and Richie Furay (Buffalo Springfield, Poco). The group made it to #27 on the US Charts with the hit single Fallin' in Love from their self-titled first album, Souther-Hillman-Furay Band. The title of their second album Trouble in Paradise (1975) may have said it all, the band broke up and J. D. Souther continued on his solo career. His solo albums were not particularly successful, but his session musician work and songwriting continued unabated; and he sang on other artist's albums such as Don Henley, Christopher Cross and others. Souther also sang on several duets with Linda Ronstadt including Hasten Down the Wind (1976) written by Warren Zevon, Prisoner in Disguise (1975) written by J. D. Souther, and Hearts Against the Wind (1980), from the movie Urban Cowboy. J. D. Souther's 1981 duet with James Taylor on Her Town Too (co-written by J. D. Souther, James Taylor, and Waddy Wachtel) reached #11 on the Billboard charts. During the 1980's and 1990's J. D. Souther was semi-retired from the music scene. In a 2012 interview with Rolling Stone Magazine, Souther said "After You're Only Lonely hit I thought, "It's time to retire for a little while." I had done what I wanted to do musically and I just thought to myself, "All the men in my family worked until they died, and I'm going to take a few years off and build a great house and have a life." That stretched into 20 years, and I realized I'd better start getting back to work." While on a partial hiatus from the music industry, J. D. Souther turned his talents to acting, with a recurring role on the television series thirtysomething (1989-1990 season), and appearances in movies including Postcards From the Edge (1990). He also found time to perform on the Roy Orbison and Friends (1987) concert & video, sing Smoke Gets in Your Eyes (by The Platters') for the movie Always (1989), and continue to write songs with and for other artists, as well as the theme song for the television show Anything But Love (1989-1992). Below, J. D. Souther can be seen and heard on the Roy Orbison & Friends performance of Oh Pretty Woman - along with fellow backing musicians, Bruce Springsteen, Elvis Costello, Tom Waits, kd Lang, Jackson Browne, Bonnait Raitt, T Bone Burnet, Jennifer Warnes, and others. In his 55+ years, while on an extended vacation in Ireland, J. D. Souther met his second wife, Sarah. Sarah and J. D. Souther soon settled in the Nashville, Tennessee area with Sarah's daughter Anja, and married in 2004. Today Souther, now single again (the marriage was over by 2010), lives on a farm outside Nashville. In his sixties and senior years, J. D. Souther has returned to recording with a vengeance - releasing 4 albums in 4 years. His first album in 25 years, If The World Was You (2008) featured jazz and standard songs...closely followed by a live album in 2009, and an album that included new versions of his greatest songwriting successes for other artists - Natural History (2011). Midnight in Tokyo (2012) is another live album from Japan. Now that he's a senior he hasn't given up acting either - most recently J.D. Souther was in the movie Deadline (2012) and played songwriter Watty White on the first season of the hit ABC series Nashville (2012-2013). Senior citizen Souther was welcomed into the Songwriters Hall of Fame in 2013. He shows no sign of letting up his acting, songwriting, and performing efforts. He can be seen on tour in December 2015 in Ohio, Minneapolis and Illinois. Below, J. D. Souther singing Something in the Dark, from his 2015 album Tenderness...still killing it in his 70th year. Happy 70th Birthday, J. D. Souther! I fell in love with J.D. in 1977 when he opened a show for the Eagles in Tulsa Oklahoma. I love all of his songs, the lyrics. Now I just read about his love for dogs and love him even more, as I always claim "I love dogs more than I like humans". I recently read a book Linda Ronstat wrote and of course it included a bit about J.D. which I enjoyed. She (Linda) is my favorite female vocalist and the only other woman I would not, could not be jealous of when it comes to J.D. I play his Black Rose cd, and her Heart Like A Wheel cd daily. you are awesome. i have loved when your only lonely since i was seventeen. I am now 57 and listen to that song every night before bed. it reminds me of my guy that i loved so dearly when i was 15 to 23 . He died in A fire. I post this as i will never forget the love in that song. great!